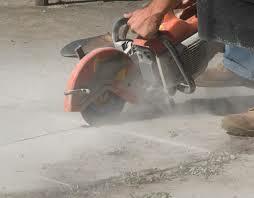 When you need to engage the services of a skilled concrete cutter the team at Online Pipe & Cable Locating team have a range of concrete cutting equipment to cut any type and depth of concrete. Online Pipe’s team of highly skilled technicians are trained in all technical and safety aspects of operating various concrete cutting saws and machines and different applications. Cutting to a precise depth can be achieved to ensure the removal of unwanted concrete while protecting underground assets. We can also arrange the safe removal of concrete waste from site. If you require reliable concrete cutting services offered on a fast, same-day basis, then call us to discuss your requirements. Online Pipe’s technicians will deliver the right concrete cutting services accurately and efficiently. In addition to concrete cutting, Online Pipe has a range of modern GPR equipment to achieve accurate results for hidden pipe or cable problems. From a simple GPR trace issue to providing the solution to a complicated underground problem, call and discuss it with the Online Pipe team. Online Pipe has the necessary equipment and expertise to keep your project on schedule and to budget. 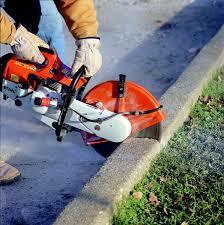 Do you require Concrete Cutting? Please fill out the form below and one of our staff will be in contact with you.